Sketches, Sketches, and MORE Sketches! Its been far too long since I did some leisurely sketching for myself. And over the last month, I managed to get a few in. GO ME! Trust me, with my schedule, this is no easy feat. It felt good to revisit some older characters and play with my pencils again. I mostly worked on just straight up character costume sketches. 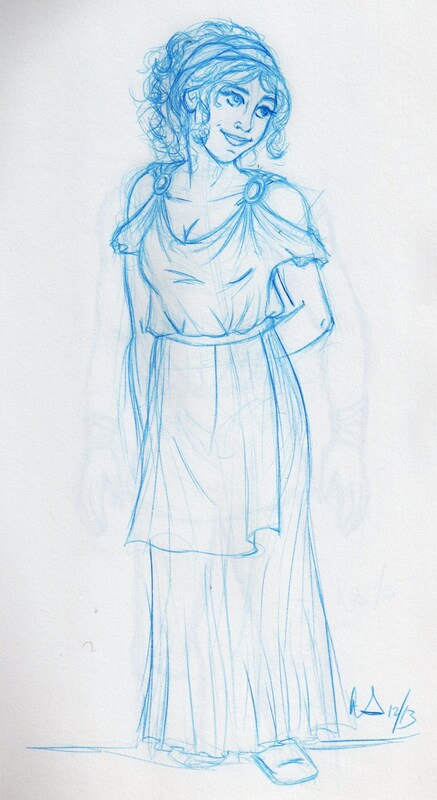 This one if of my character, Cassia from a Greek/Roman themed RPG. 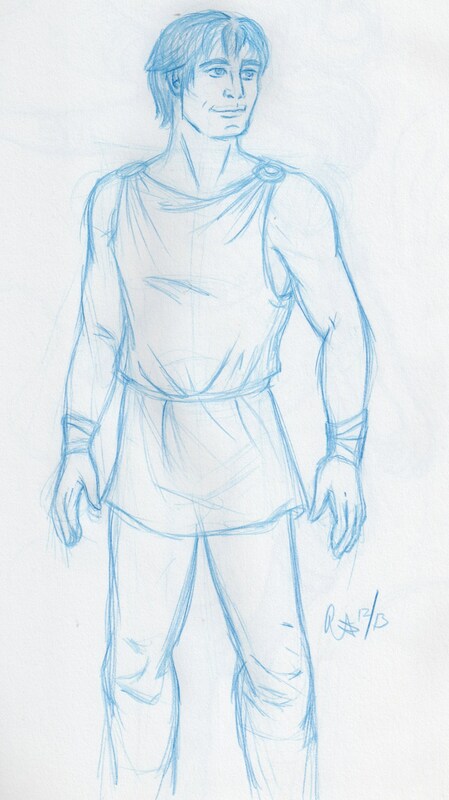 And my friend Doug’s character Pankratios from the same RPG. As some of you may know, I’m beginning my adventures as a Romance writer. 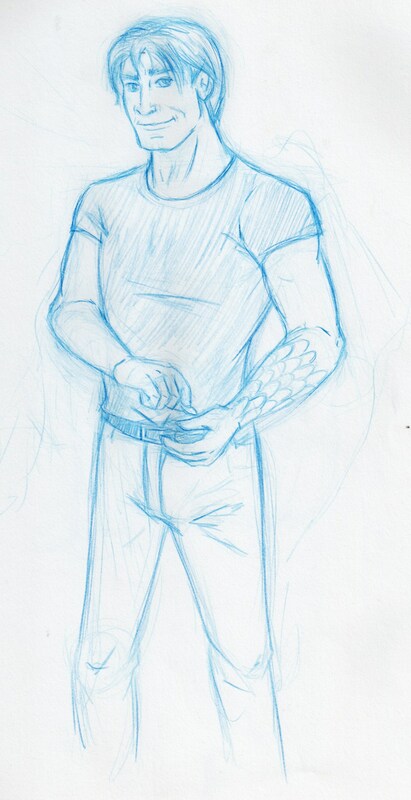 And being the big nerd that I am, I not only write Urban Fantasy/Paranormal Romance, I have to sketch my characters too. These are the two main characters in the book I’m currently working on, Siren’s Song. Jack, the dragon and Adelle Constance, a half blood siren. Much to my surprise, I was named Gargoyles Fan of the Week over at Gargoyles Reawakening. WOO! 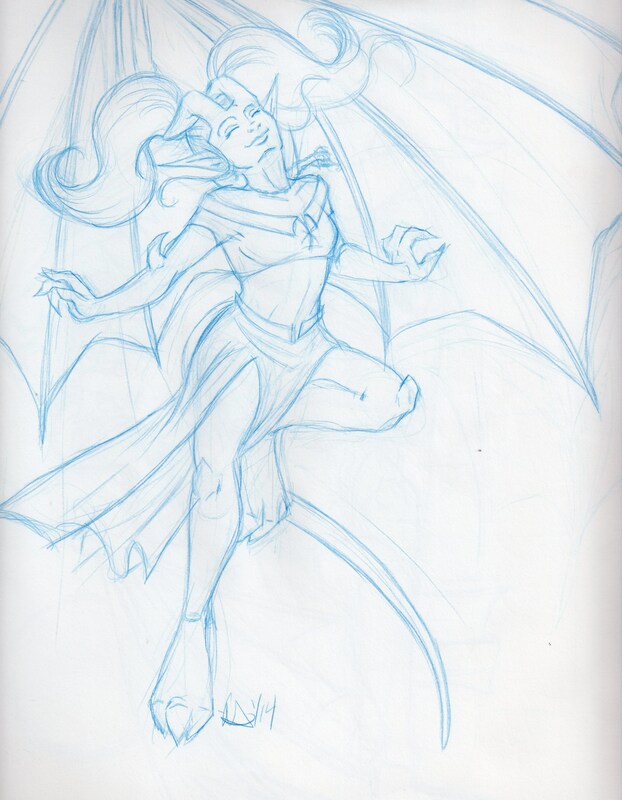 I was deeply honored since the Gargoyles fandom holds a deep place in my heart. 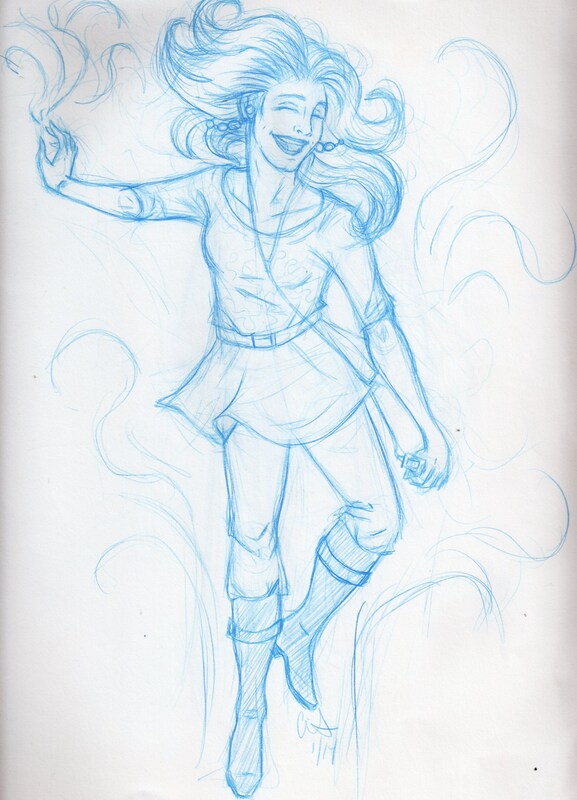 So in a fit of nostalgia, I sketched up Link and Eden in between commissions at Steampunk Symposium. And that’s my sketch dump for the week! Next update I’ll be giving a sneak peek of the new print series I’m working on. 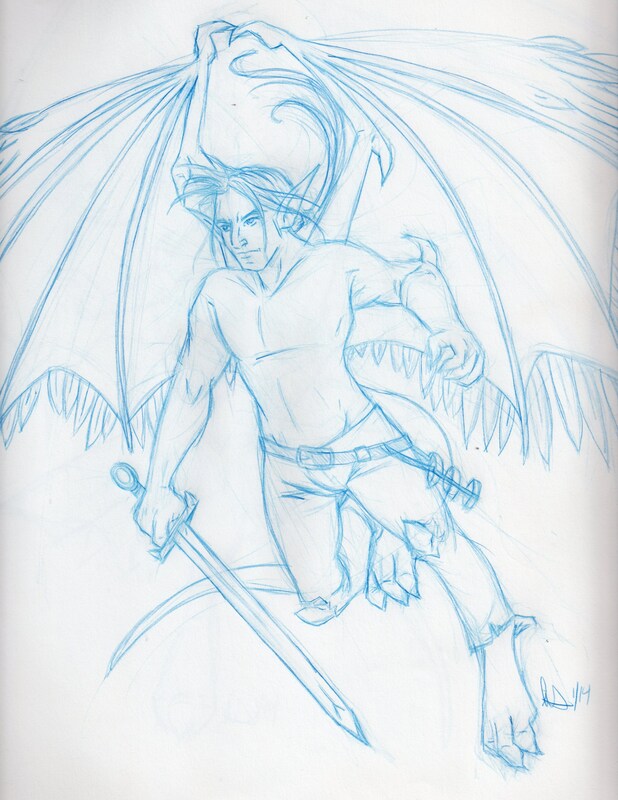 This entry was posted in Artwork and tagged art, Disney, original stories, RPG characters. Bookmark the permalink.